Harrods Shoe Heaven. If heaven exists, this is it. Harrods Fifth Floor is the ultimate dream for all shoe enthusiasts, like myself. Within minutes, you're lost between the likes of Chanel and Valentino and I could certainly think of worse places to get lost. Our visit to Harrods a couple of weeks back, was purely to have a nose at the gorgeous Sophia Webster designs in the flesh and catch the fruit stall pop up which is in store until 16th March. I am completely obsessed with Sophia Webster, the quirky styles and unique designs are the perfect way to add a burst of personality to any outfit, if they weren't £600 plus, I'd probably have bought them all. I love all pairs above, but the S.W watermelon heels are really taking my fancy, ooh and the monochrome ones. 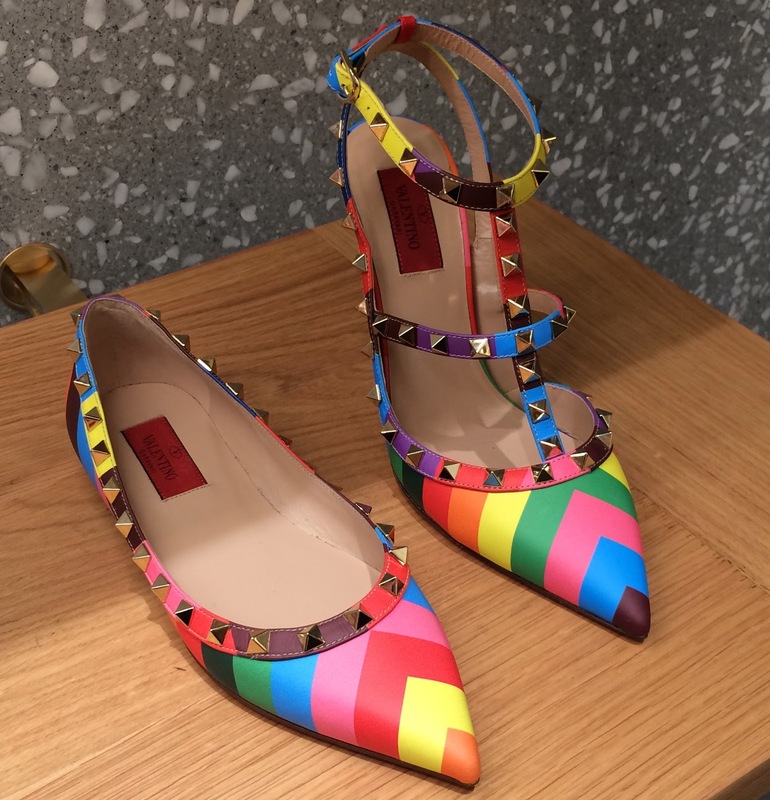 Also, who doesn't love Valentino? The new rainbow styles are just so fun. If I suddenly come into money.. first stop, Harrods.